Please note the location has moved! 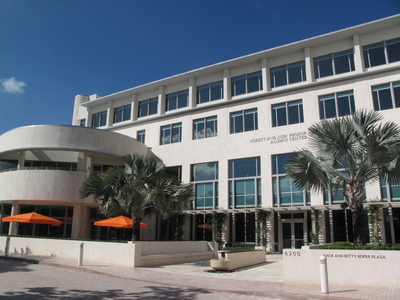 This event will now be held at the Newman Alumni Center, 6200 San Amaro Drive, Coral Gables, FL. Registration deadline is February 13. Join us for the first-ever FSHD Family Day Conference in Florida, locally hosted by Mario Saporta, MD PhD MBA, and his team at the Neuromuscular Division of the University of Miami Miller School of Medicine. You will meet patients and families throughout the region and enjoy interactive learning with experts. Dr. Saporta and his clinic team will give presentations about FSHD care and management, genetic testing, and physical therapy. Peter Jones, PhD, a world leader in FSHD research, will share his insights on where we are with developing treatments and a cure. Drs. Ora and Isaac Prilleltensky will lead a moderated discussion for patients and families on well-being and living fully with FSHD. We’ll have a panel discussion with Matt and Debbie Dietz, experts in disability law, and Gene Harkey of National Seating and Mobility. Download the 2019 Miami FSHD Family Day Agenda. Download the Miami FSHD Family Day Speaker Bios. At the meeting, we would like to share people’s favorite “tips and tricks” for living with FSHD. Please email June.kinoshita@fshsociety.org with your ideas!